When it comes to natural phenomena, it’s safe to say that the Northern Lights are pretty high on the list of the world’s most spectacular, impressive and breathtaking sights. 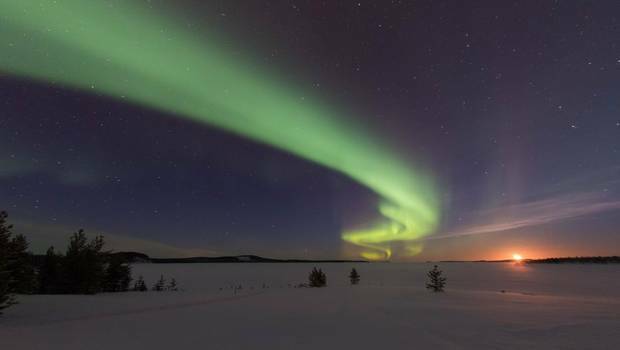 Caused by particles from the sun’s solar flares reacting with the earth’s magnetic field, the lights are a common feature of dark winter nights in regions of Lapland by the Arctic Circle where the sky often alights with dancing curtains of green and yellow light. For families, they have a universal appeal. Adults can look up at the billowing swirling lights, knowing that they are looking at a pattern that is completely unique to that moment in time. 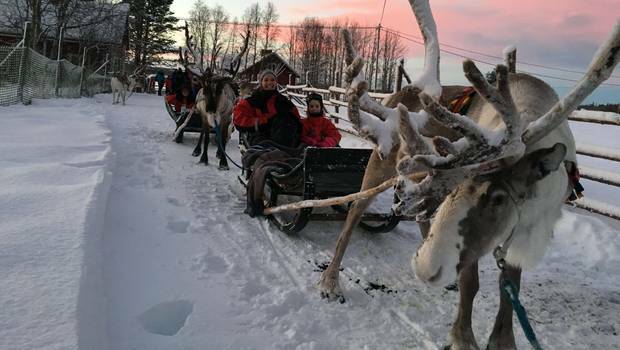 For children, the Northern Lights take on an altogether magical slant and your local guide will no doubt fascinate them with some of the legends of the Northern Lights. Tales include the Firefox, whose sweeping tail sparks against the sky, whilst for others, they are a bridge to ancient ancestors or otherworldly warriors. Whatever your thoughts, it’s a safe bet that should they make an appearance, even the most excitable children will be silenced and this is a shared family experience you will remember for a lifetime. It is the combination of being in the Aurora Zone, avoiding light pollution and being patient that will most likely reward Aurora hunters. Add in the knowledgeable local guides who we utilise for our trips, and your chances will be particularly high. The majority of locations we feature on our Activities Abroad experiences are based in the Aurora Zone, so you will have a reasonable chance of seeing the Aurora Borealis during nearly all of them. With some trips, such as our Kuusamo and Ranua trips, the appearance of the Northern Lights might be an added bonus to an otherwise magical trip, whereas other trips, such as our Nellim and Menesjarvi trips have a dedicated focus on seeking out a magnificent Aurora display with hunts on the majority of evenings. When out on your night-time excursions to seek out the Aurora you will rely on your guide’s local knowledge as well as the local weather and Aurora forecasts. 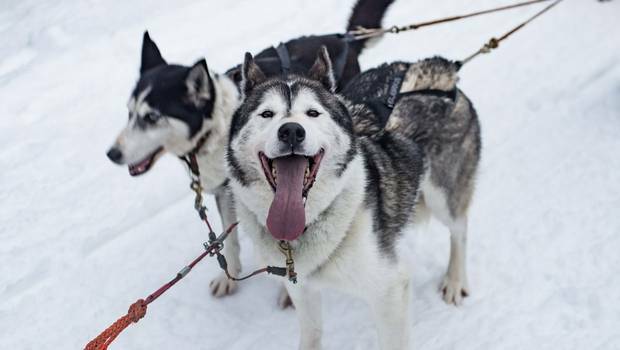 In seeking out the Aurora you will also utilise a variety of exciting modes of transport such as snowmobile sleds, snowshoes or via kick sleds. For families with younger children or for those who want more of a leisurely adventure, some locations offer a more relaxed way to potentially gaze upon the Northern Lights – including the clear-roofed Aurora Bubbles at Nellim and Luosto’s Arctic View Rooms where you can enjoy a view of the night sky from your warm beds. The most important thing that we stress to all of the families is that a viewing of the Northern Lights can never be guaranteed. It’s a bit like trying to see a lion when you are on safari – you can be in the most likely place with an expert guide, but sometimes the lions just don’t want to be found. The Northern Lights are very much the same and unfortunately, on some occasions, you might be unlucky. The main thing that scuppers Aurora sightings is cloud cover – quite often the solar activity is creating Northern Lights but you can’t see them as it is hidden behind a cloud. Clouds are, of course, simply one of those things you can’t predict, as much as we wish you could! Many of the holidays do however include hunts which use snowmobiles to lead you on a hunt for the lights, meaning that you may escape localised cloud cover. Rest-assured our guides will do all that they can to help you witness a display. The key thing is to travel in hope rather than anticipation. The Northern Lights most typically appear between 10 pm and 2 am, so a potential sighting will inevitably involve late nights for families, so this is something you should be prepared for. There is usually some chance to rest during the day though and no doubt the excitement will keep both the youngsters and adults wide awake!